"Upon arriving at Espiritu Santo, we were assigned to the 72nd BS of the 5th BG. Most of the unit was on Guadalcanal, but new crews went through some training here before flying a combat mission. Our first combat mission was December 25, 1943 to Rabaul. However, bad weather caused the mission to be aborted in flight. By this time, we were staged into Munda for fueling, etc. My first completed mission was to Rabaul on December 30. On a mission to Truk on June 7, 1944, I was assigned to fly as a trainer pilot for a new crew's first combat mission. I protested, wanting to fly with my crew, but my protest was rejected. My crew above was lost on that mission, everyone except the Navigator, Stuart Felton". I would like to share an experience that I had at the 13th Jungle Air Force Veterans Association Reunion Held at the beginning of Oct 2000 in Dayton, OH. 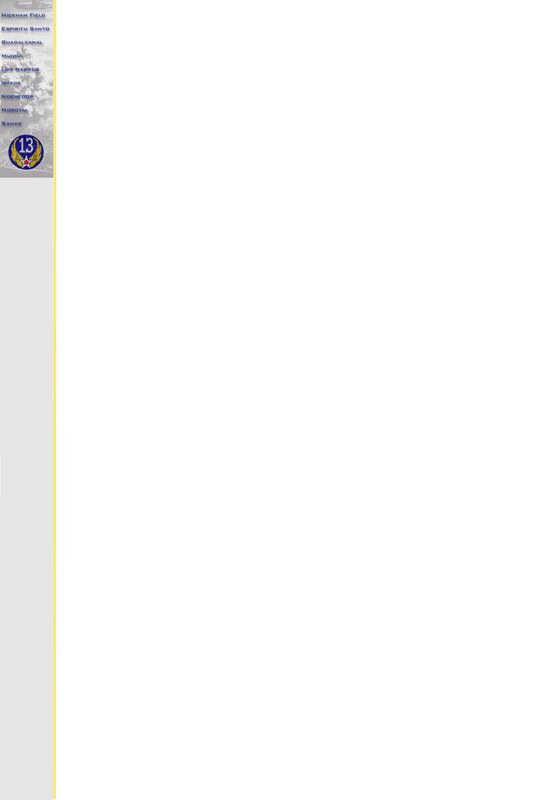 I was in the hospitality room talking with Bill Blair from the 72nd. A gentleman sat down next to us whose name tag said "Stuart Felton, 72nd BS". For some reason, the name sounded familiar. I asked him if we had spoken or exchanged e-mail. We hadn't and then I asked what crew he was with in the 72nd. 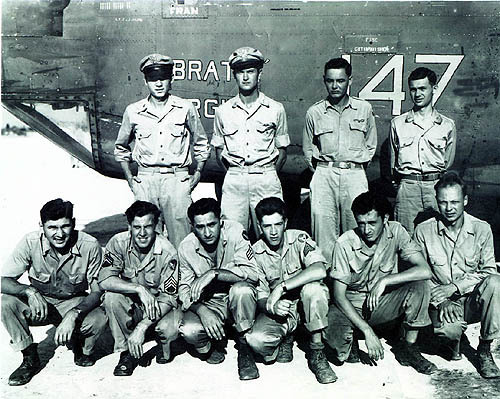 He said "J.J. Faunce's crew, but they were shot down on a mission to Truk in June of 44" This was the day after Stuart had finished 58 missions and was preparing to be sent back to the US. 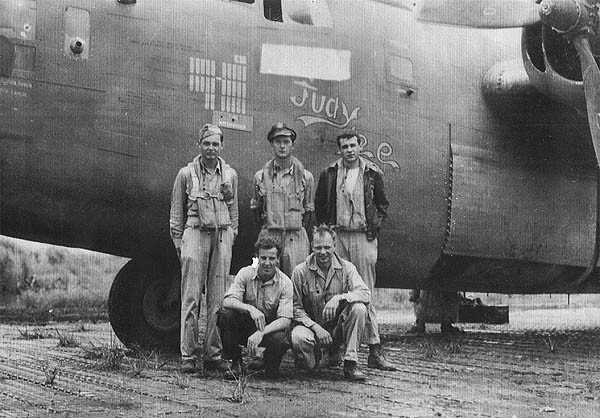 Now, I remembered that I had received a crew picture from DH Shelton, the Co-pilot with Faunce. DH had been assigned to another crew as first pilot for their check out mission on that day in June 44. He protested, saying that he wanted to go with his crew, but was unsuccessful, and ended up taking the other crew to Truk as first pilot. On this same mission, Faunce and his crew were shot down and MIA. Stuart did not know that DH had been assigned to another crew that morning and for 56 years, thought that DH had gone down with Faunce. I pulled up the photo that I had with me of the Faunce crew and told Stuart the story above and showed him the letter that DH had written me. Stuart, as you can well imagine, was very emotional. We were able to call DH and the two of them spoke for the first time since June 6, 1944.